April 24, 2016 — It’s not every day that students have the chance to experience law in a country on the other side of the world. 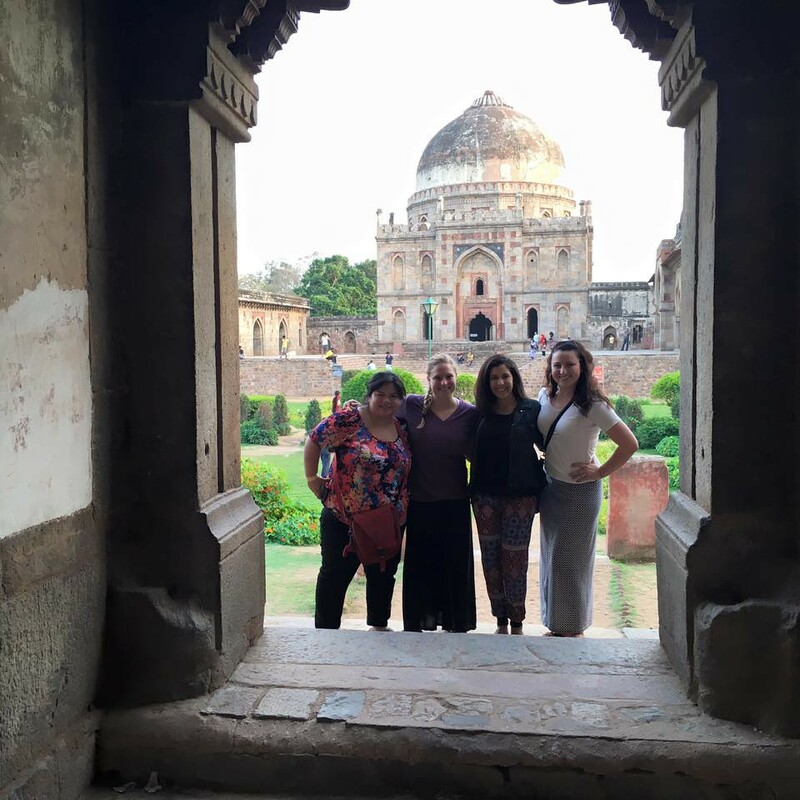 A group of Pepperdine Law students and Professor Jeff Baker partnered with the Delhi-based Council to Secure Justice (CSJ) to spend their Spring Break (March 11-21) in India. (CSJ was launched by Pepperdine Law alumnus Jon Derby.) An annual trip established by the Global Justice Program, the objective is to learn about the prevalence of issues such as child abuse, sexual abuse, and bonded labor. The group provided training on negotiation simulations with guidance from Professor Baker. They also met with attorneys and social workers and networked with non-governmental organization workers. In addition to the legal aspects, students were able to learn about general cultural issues in India such as the patriarchal society, women’s rights, discrimination, and the infamous caste system. It was particularly interesting for the female students to gain insight into what it is like being an educated and intelligent woman with a law degree in a different country. In the United States, a woman with a law degree is generally not discriminated against. “In India, a female lawyer is treated as a second class citizen—and there are much more men than women in the work force,” said Angie DeMesa, a third year law student at Pepperdine. The group was able to closely examine this cultural disparity and see that the primary acceptable role for women in India is to get married at a young age and become a homemaker rather than to educate themselves and work outside the home. While working with NGO workers, who deal with families of child victims, students were able to analyze the differences between Indian law and American law. In India, parties in a dispute do not have the right to a speedy trial. Therefore, in cases involving child abuse there is difficulty in preserving a child’s testimony. The child’s family has the time and power to influence the child and recant certain statements. They use this time to continue building the record, and the case outcome is based on the paper record. A simple straightforward case that would typically last a short time in the U.S. can take as long as one year in India. This makes it especially hard to move forward with a case while preserving precise factual statements and testimony. Furthermore, they do not have a jury trial, but a bench trial. Parties can also receive a different presiding judge each time they go to court, unlike the U.S. where one judge oversees a case from start to finish. Students also explored the International Justice Mission’s efforts in successfully handling bonded labor. A trending issue, for example, is the low pay that bonded workers receive which subsequently leads to high debt and an inability to pay off the initial money they received. The group had the opportunity to see the slums (called “abbas”) firsthand, where migrant workers live. Paul Blenz, a third year law student at Pepperdine, explained his fascination and appreciation for the time and effort social workers put into each case. He stated that the social workers they observed in New Delhi do not turn away cases¬–they are there to deal with the children in need and focus on their best interests. Aside from the knowledge-enriching components of the trip, the group found time to tour New Delhi, where they strolled through the colorful markets, and Agra where they visited the Taj Mahal, a UNESCO world heritage site.